For people who love to write, finding decent notebooks is a must. 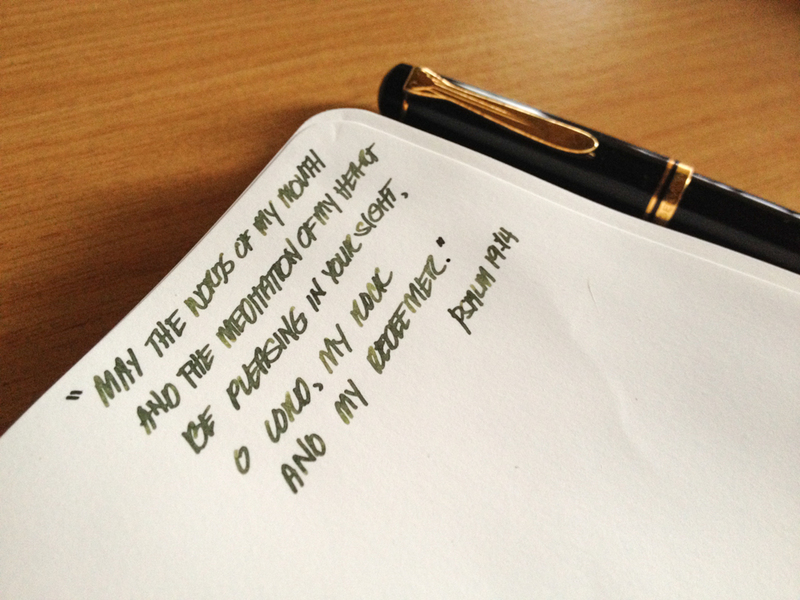 One of my friends (Keshia) recommended Elias notebooks to me, and of course I had to try it out. I must say I am happy I did! this happy bundle was delivered by Xend to our house this afternoon. My first impression on the journal is that it looks very presentable. The leather cover is very pleasant to touch. 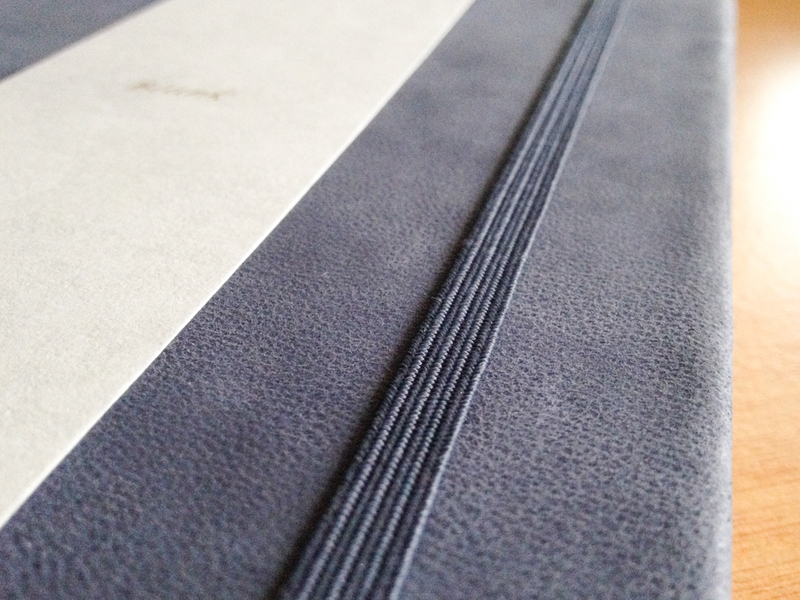 It’s genuine leather and it’s very soft and supple. Almost like velvet. Smells awesome too! I’m not ashamed to say that I’m a notebook huffer, and this notebook is very huff-worthy. The smell of leather and paper is ohhhh sooooo gooood. 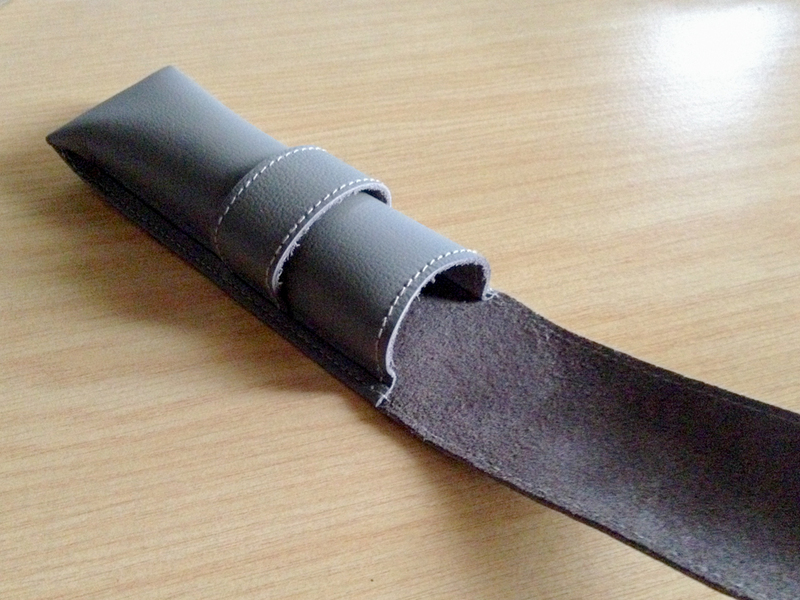 The leather cover is thick and the bindings looks very secured. I bought a large and small journal, the one in the photo above is 5.4 x 8 inches with 88 sheets of unlined paper. Yes, it actually is as soft as it looks. The notebook initially has some difficulties laying down flat, but it looks like something that will come naturally as you open it more often. Update: While the journals don’t lay flat, it opens up quite easily as you use it more often. I myself have softened the spine by fully opening the notebook. In other words, binuksan ko ng maiging-maigi. Don’t be afraid, the spine can take it. 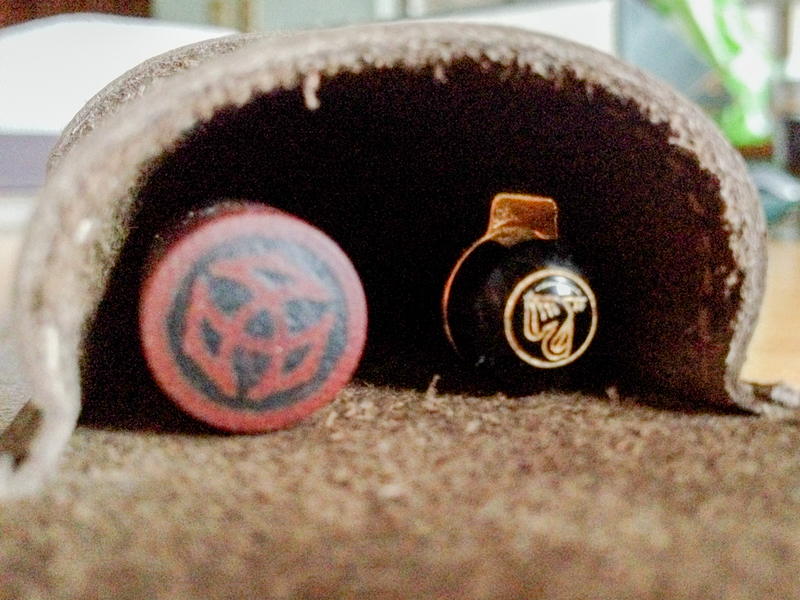 There’s a little pocket at the back where you can store notes and whatnots, and it had two slips of paper inside. These are neatly printed sheets; one explains how to take care of the leather, the other explains the origins of the notebook’s name. Elias is from the character in Jose Rizal’s novels Noli Me Tangere. I think that providing a glimpse of the notebook’s backstory is a very nice touch. So, I happily opened the unlined journal to try it out, and lo and behold. It’s the paper equivalent of a deep-fried Oreo. Sigh. The paper is a joy to write on. It has enough texture on it to provide a pleasant feedback to the nib. The coating is not so thick, so it absorbs ink and shows off the shading beautifully. Dries pretty fast too, but then again I’m right-handed so the drying time is sufficient for me. The surface of the paper is not so slippery that it resists the ink (which is my main gripe when using Midori and other ridiculously expensive notebooks). Surprisingly, though, the paper isn’t that thick when you feel it between your fingers. 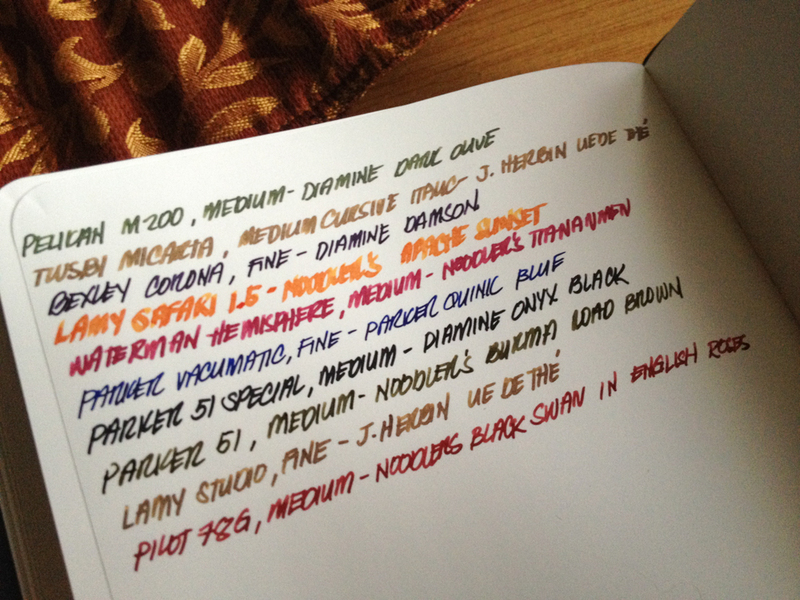 I tried all of my currently inked pens on it (yes, I currently carry 10 inked pens), and the paper held up excellently. Even my wettest writers did not make the paper flinch. 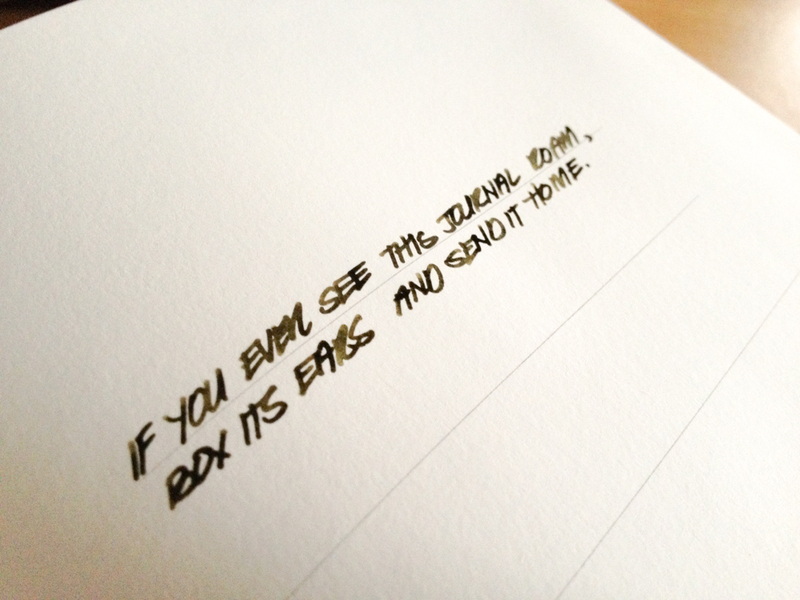 Before I tried Elias, my absolute favorite notebook was the black Muji, the one with the hard cover. Though I’ve tried many local notebooks that came close to competing with that notebook, it stayed at the top. Different people have different preferences when it comes to paper; they look for different things that will make the notebook stand out from others. My thing is the show through. I don’t like paper that are too thick and there’s no writing showing through it. 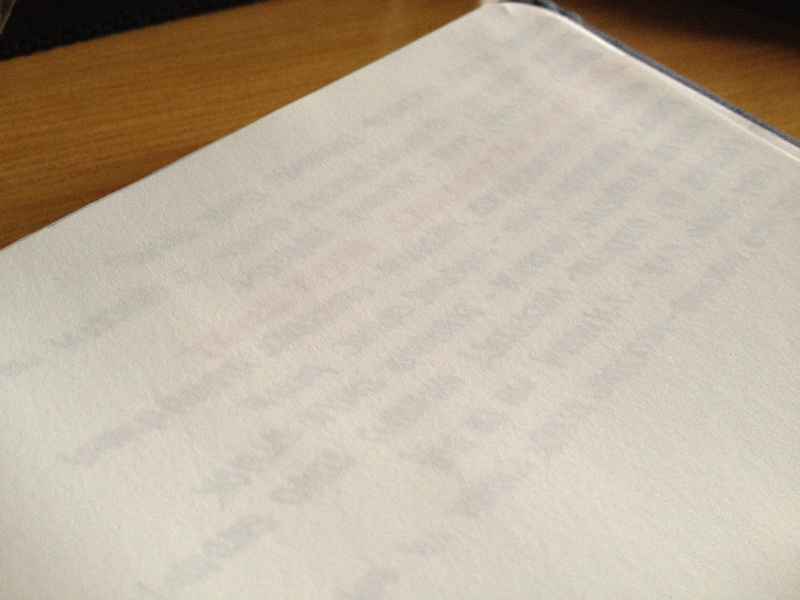 The thing is, with thin paper, too much show through can make writing a bit confusing. It might also mean that the notebook can bleed through easily. This notebook hit the sweet spot. There’s no bleedthrough, and there’s just enough show through to make the paper look thin and delicate. I’m not sure what it is about showthrough that I find so sexay, but I really love it. This paper is just the right thickness and smoothness, and I’m a happy, happy camper. This notebook uses 90gsm ivory-colored, acid-free paper. It means that it will probably last a longer time than other types of paper. 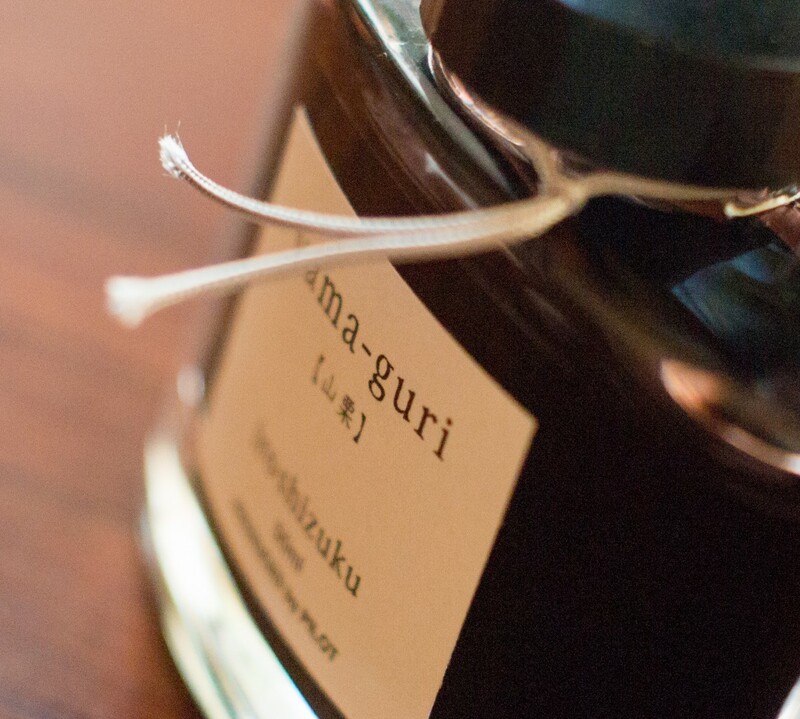 It won’t have any chemical reaction with the fountain pen inks that I use over the years. This will keep well, as long as I store it properly after it’s all filled up. I am really happy I tried this journal, and I’m glad that here’s another proudly Philippine-made leather notebook which looks to be world-class and is export quality. 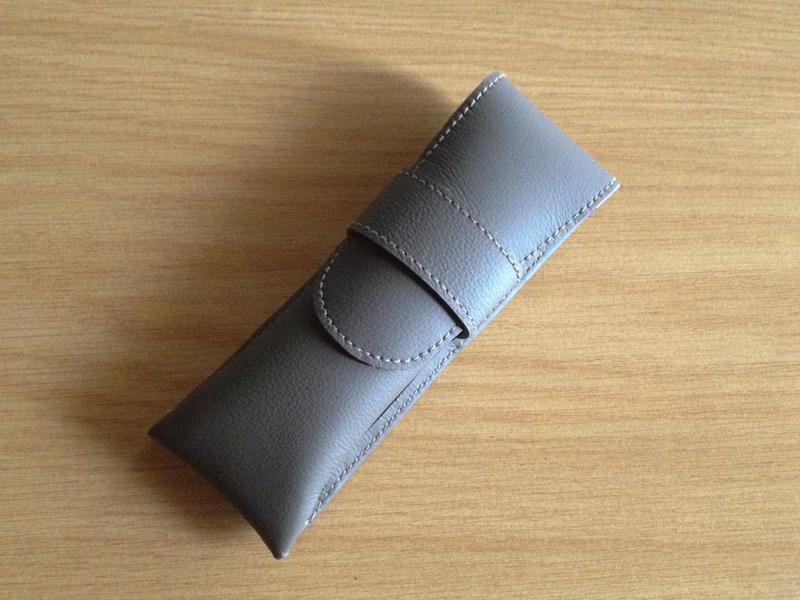 I also bought a 2-pen leather case (light brown). For P300, this is already quite affordable. It would have been great if it has a divider, but I understand that would drive up the cost of the case. I keep pens that look to be scratch-resistant in it (like my Micarta). The flap closes securely and there’s absolutely no problems pulling the pens out when it’s open. 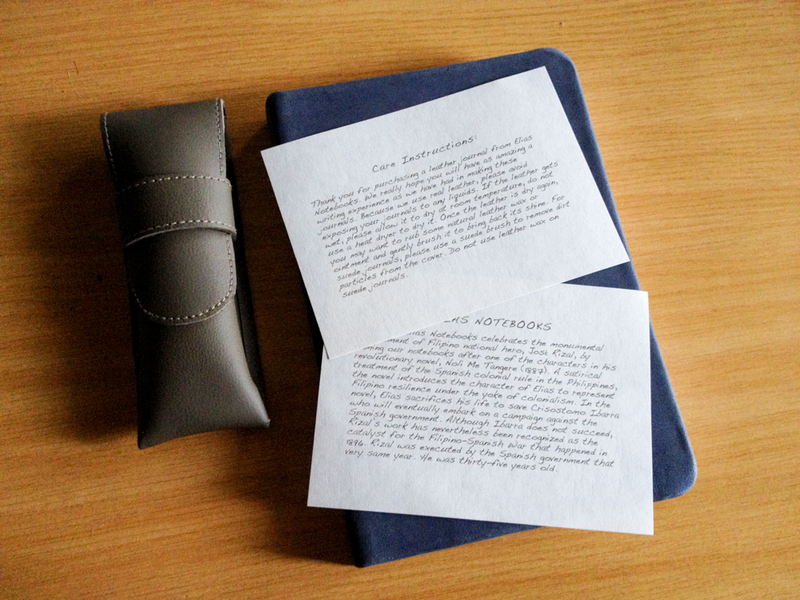 It’s about the same length as my other pen case, although the leather used here is very, very soft and supple to the touch. While it fits two pens comfortably, it looks like it can accommodate up to three pens. 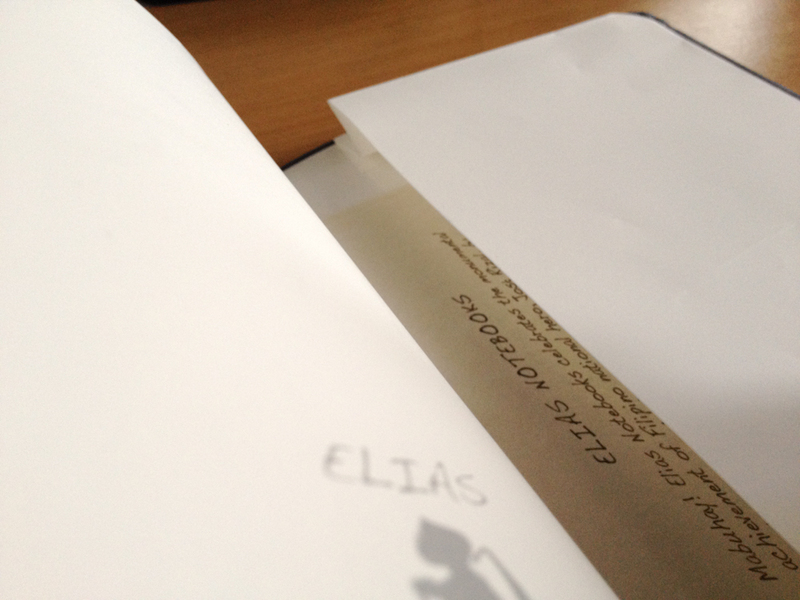 Suffice it to say that I’m quite smitten by these Elias products. I would definitely recommend them to any person who loves to write. The large notebooks are P699 each, and the small ones are P499 (both sizes have blank and ruled paper). 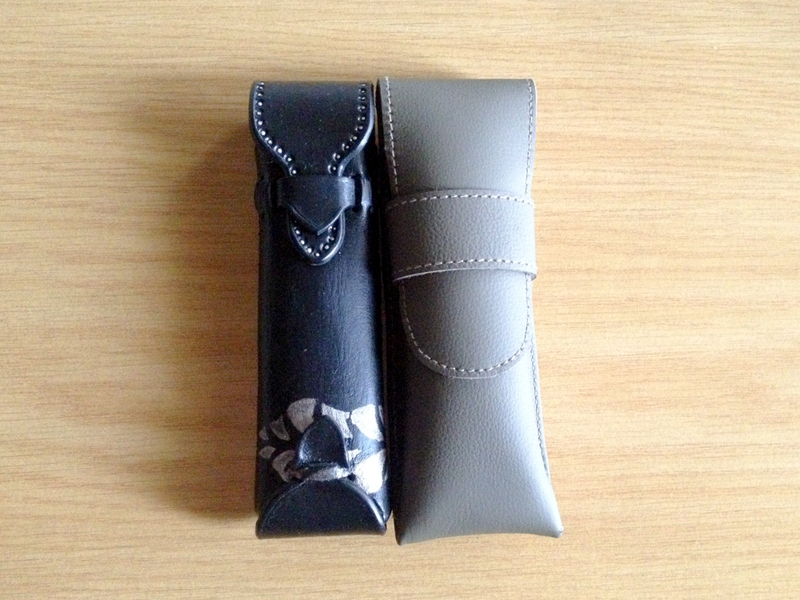 The pen case is P300. 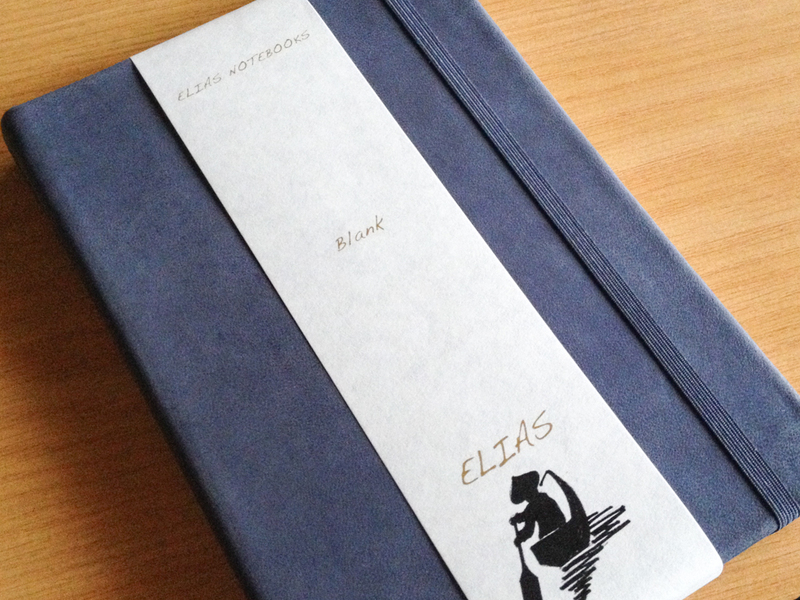 You can order them online through their FB page – Elias Notebooks. Or their website www.eliasnotebooks.com. 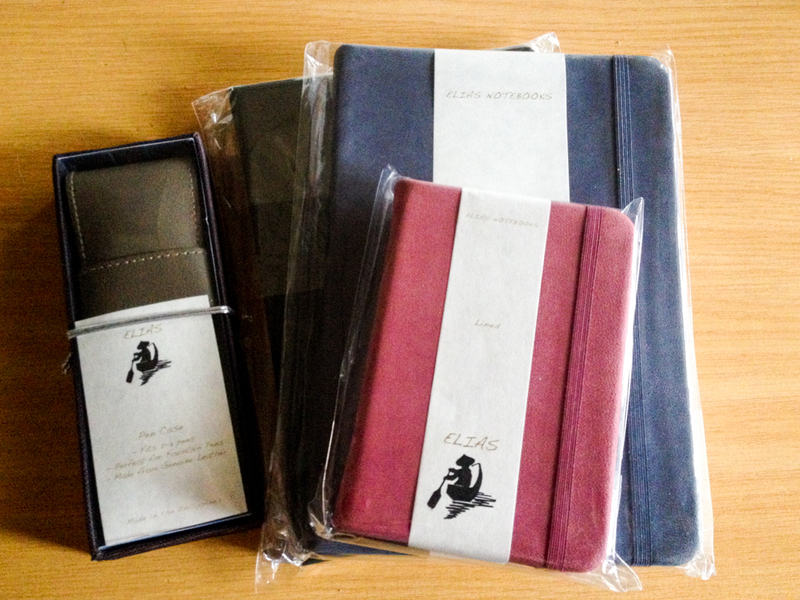 If you order two notebooks or more, delivery is free around Metro Manila.